UPDATE: A few more photos have surfaced and they can be seen in the gallery below. Is the DC Extended Universe finally about to turn a corner? That’s the question on all our minds right now, as Patty Jenkins’ Wonder Woman gets ready to charge into theatres next month, riding a wave of positive buzz and word of mouth. Of course, we won’t know for sure what we’re in for until those first reviews surface, but so far, it seems promising. And that sense of optimism is now starting to build around other projects in the franchise, too. In fact, just this week we heard some very exciting things about James Wan’s Aquaman, which is beginning to emerge as something of a dark horse for the DCEU. The titular character has a long history in the comic books but has always been seen as something of a joke by fans. Not anymore, though, as Wan is promising to give us a bold new take on Arthur Curry, one that presents the hero as darker, tougher and a lot more badass. Granted, without having seen any footage from the standalone outing, it’s hard to say if the director will deliver, but some recent leaks have said that the studio is extremely excited about what he has planned and is positioning Aquaman as the new standard for future DCEU films. That’s certainly promising to hear, and with production now underway, we’re starting to see the expected deluge of snaps from the set. 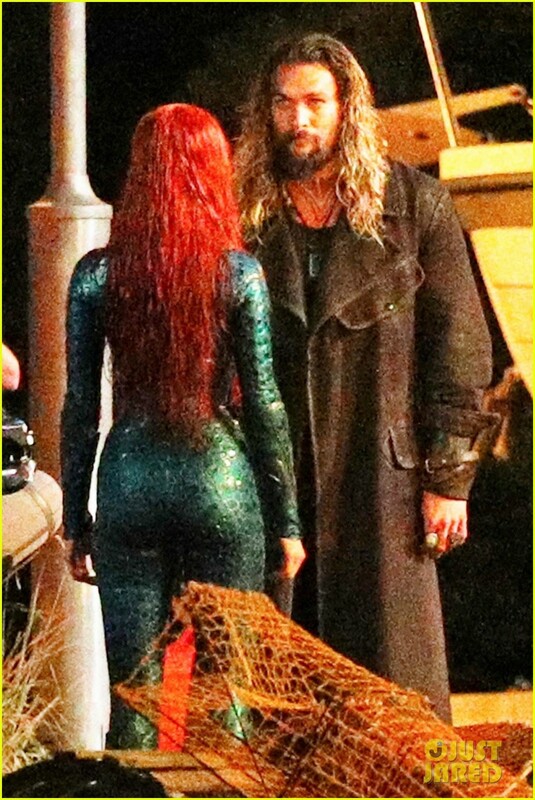 Not too long ago, we finally got a proper look at Amber Heard as Mera and today, we have another photo of the actress, this time shooting a scene with Momoa. Taken this weekend on the Gold Coast in Queensland, Australia, it appears that the two characters are on some kind of dock. 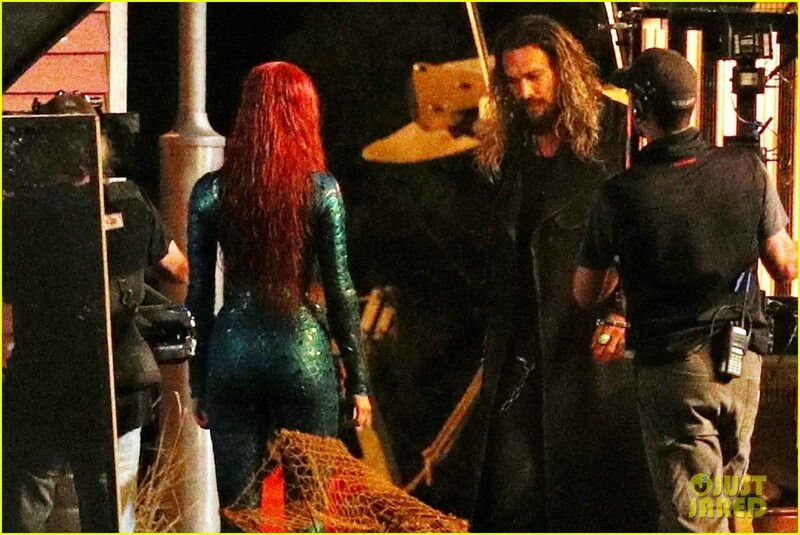 It also doesn’t seem like Arthur is in his costume, even though Mera is, which is interesting to note. Beyond that, we can’t really tell what’s going on here, but it’s nice to get another look at the film regardless, especially with all of the hype that’s starting to build around it. 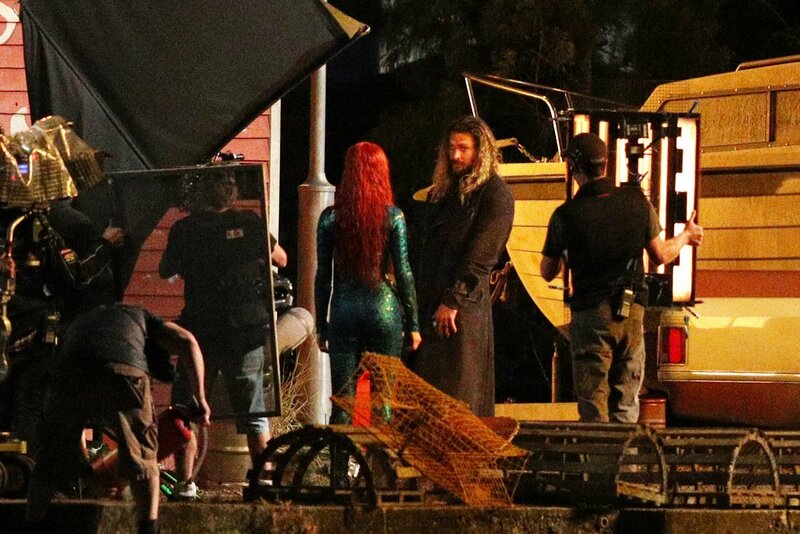 With Aquaman now well into production, it shouldn’t be too much longer before some official stills or even the first bit of footage debuts. 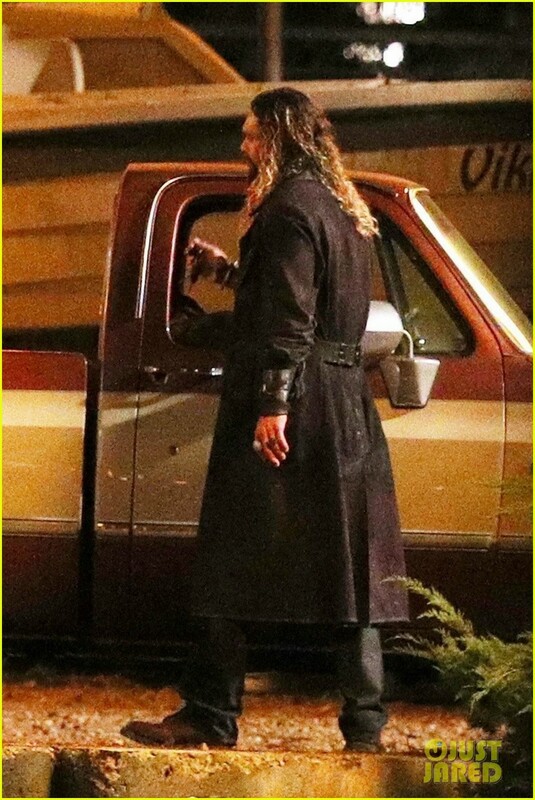 We imagine that will happen this summer, and until then, we’ll continue to watch as the blockbuster comes together down in Australia, where Momoa and Heard are currently shooting with the rest of the cast, which includes Patrick Wilson, Nicole Kidman, Willem Dafoe, Dolph Lundgren and Yahya Abdul-Mateen as the villainous Black Manta.